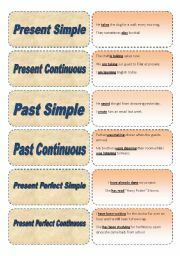 This is a simple ws that contains multiple choice sentences on present perfect and past simple. It can be used as a review or a short quiz. Answer key is included. 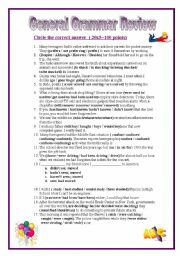 Reading strategy: This worksheet explains the difference between fact and opinion. It includes a short explanation as well as some exercises. 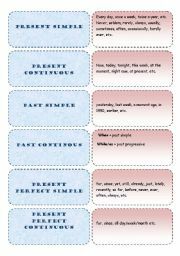 This is very important in order to understand the writer´s point of view. 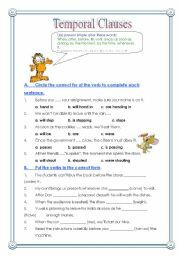 A fun exercies which helps the students understand what homonyms are. Answer key is included. 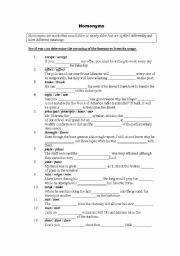 This ws contains a variety of grammatical structures: tenses, conditionals, wish, gerunds, relative pronouns, connectors. 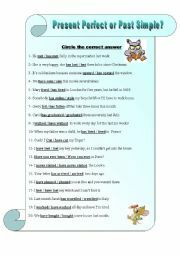 It can be used as a quiz or as a review to check what the students know or need to know. Answer key is included. 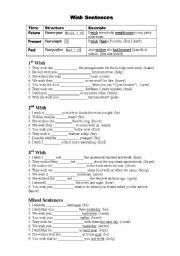 Wish sentences - explanation as well as exercises.